GIBSON, DAVID, surveyor, politician, and public servant; b. 9 March 1804 in the parish of Glammis, Forfarshire (Angus), Scotland, the son of James Gibson and Margaret Watson; d. 25 Jan. 1864 at Quebec City. David Gibson, whose father was a tenant farmer, was apprenticed at 15 to a land surveyor in Forfarshire. Once his term was completed in 1824, he decided to practise in North America. Inquiries brought a negative response from a friend in Virginia but Gibson’s uncle, Alexander Milne, in Markham Township, Upper Canada, replied that it appeared quite easy to qualify as a surveyor in the province. Gibson took this answer as a sign that work was available. 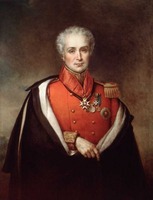 After obtaining letters of introduction he set out for Quebec in 1825. He procured work surveying the Lower Canadian–United States border, but even with the help of Lord Dalhousie [Ramsay*], with whom family friends had influence, he was unable to obtain permanent employment. Armed with letters of introduction from Dalhousie, Gibson moved to his uncle’s farm in Upper Canada, turning down an offer of a highly paid position in a grocery firm in Montreal. Despite his uncle’s optimism, Gibson did not immediately receive work. However, Lieutenant Governor Sir Peregrine Maitland*, primed by Dalhousie’s letter, advised Gibson to apply as soon as work became available. This he did and, upon passing the provincial examination, was appointed in December 1825 a deputy surveyor of roads and in September 1828 surveyor of highways for the southern part of the Home District. These posts, together with surveying for farmers in the neighbourhood, gave him more than enough employment. In 1828 Gibson married his cousin Eliza Milne. The following year Gibson bought a lot on Yonge Street at Willowdale in York Township, and began to take an increasing interest in public affairs. In 1831 he was elected president of the York Temperance Society. At about the same time he became an avid Reformer, organizing and speaking at Reform meetings, presenting petitions, and assisting William Lyon Mackenzie. 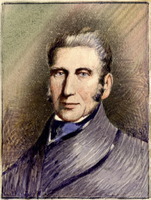 In 1834 and 1836 Gibson was elected to the assembly for the 1st Riding of York, and he gained a reputation as a reasonable but forceful proponent of radical reform. 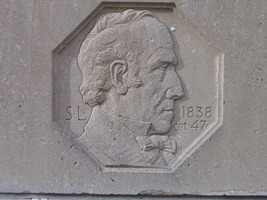 Perhaps as a reward for his assistance to the Reform cause, the Toronto City Council gave him jobs surveying streets and sidewalks, and he made a report on the feasibility of bringing water into Toronto from various sources. Gibson served as secretary of the York Township meeting in 1836, and as chairman in 1837. He was also a prosperous farmer, winning prizes from the Home District Agricultural Society and selling stock at ever increasing prices. 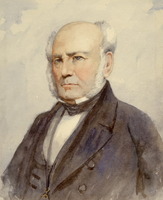 Gibson was acknowledged by members of all parties as a moderate and sensible Reformer, not one who would be expected to take part in an uprising. In fact, he learned that the rebellion of December 1837 was likely only two days before it began, when Mackenzie, who misrepresented the nature and strength of the movement, told Gibson to choose his side. Once he learned the true nature of affairs, Gibson stuck by his decision to join, in the belief that wrong as the rebellion was, it could still bring denied reforms. During the rising at Toronto he protected the loyalist prisoners held at Montgomery’s Tavern from mistreatment and led them to safety when government forces under James FitzGibbon and Allan MacNab shelled the tavern. For this he was much praised by the prisoners after their release, but his farm was nevertheless ordered burned by Sir Francis Bond Head*. After the skirmish at Montgomery’s Tavern, Gibson hid near Oshawa for a month. He then escaped across Lake Ontario and commenced a surveying business in Lockport, N.Y., where he carefully avoided involvement in the border troubles of 1837 and 1838. He also avoided Mackenzie, who called him a coward in print, because Gibson had left the battle at Montgomery’s. After a short period of hardship, Gibson found employment as an engineer on the Erie Canal and brought his family to Lockport. He prospered, bought a farm, and, despite obtaining in 1843 a pardon for the charge of treason, remained in the United States and even applied for citizenship in 1846. In 1848 he was dismissed from his job on the Erie Canal, probably because of a change of party in the local government. At that time he decided to return to his farm in Upper Canada, which had been managed for him by relatives during his absence. Gibson was soon doing well again. He was immediately given employment as a provincial land surveyor. From June 1848 to August 1849 he surveyed the Durham Road and the town plot of Durham in Grey County. His sons James and William acted as chain-bearers, and later became prominent surveyors. In 1851 he was appointed a member of the board of Canada West to examine candidates for the position of surveyor. He also attempted to regain his old seat in the legislature in that year in order to defend his views on the strict separation of church and state. 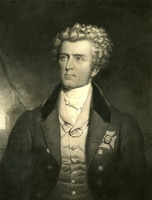 His defeat by John William Gamble* ended his political career, but his economic fortunes continued to rise. In August 1853 John Rolph, then commissioner of crown lands, with whom Gibson had remained friends, appointed him inspector of crown lands agencies and superintendent of colonization roads for Canada West, a position he occupied until his death. In 1861–62 he was also responsible for supervising the surveying of roads in the Algoma region. Gibson was raised in the Church of Scotland but, upon coming to Canada, his interest in religion waned. After the rebellion he decided that he had neglected the spiritual life of his four sons and three daughters. He began attending the Methodist Episcopal church of his wife, but he also attended a Baptist church. Between 1828 and 1856 Gibson surveyed much of Simcoe, Grey, Huron, and Bruce counties, as well as townships in Wellington, Wentworth, Ontario, and Dufferin counties. Between 1854 and 1863 he also surveyed, inspected, and superintended the construction of the important Elora, Saugeen, Goderich, Southampton, Garrafraxa, Peterson, Muskoka, and Victoria colonization roads which opened up vast areas of Ontario for settlement. He travelled throughout Canada West in the course of his work, yet still was able to visit and manage his farms in Lockport and Willowdale. He and his sons also owned an “extensive” sawmill in Parry Sound which was sold shortly before his death. By 1860 Gibson was spending less time in the field and more in Quebec to attend to general office work and meetings of the board of examiners. At his death in 1864 he was well off, with developed and undeveloped properties throughout Canada West, as well as his two farms. PAC, MG 24, B15; RG 5, A1, 180. PAO, Gibson (David) papers; RG 1, A-I-4, 34–35; A-II-6, 3; CB-1. Christian Guardian, 19 March 1831. Globe, 27 Jan. 1864. Muskoka and Haliburton (Murray). Illustrated historical atlas of the county of York . . . (Toronto, 1878; repr. 1969). M. A. FitzGibbon, A veteran of 1812; the life of James FitzGibbon (Toronto, 1894; repr. 1972). P. W. Hart, Pioneering in North York; a history of the borough (Toronto, 1968). Assoc. of Ont. Land Surveyors, Annual report (Toronto), 31 (1916), 51–54. Ronald J. Stagg, “GIBSON, DAVID,” in Dictionary of Canadian Biography, vol. 9, University of Toronto/Université Laval, 2003–, accessed April 20, 2019, http://www.biographi.ca/en/bio/gibson_david_9E.html.